Looking for methods of saving money on your food orders from TravelKhana, but don't know where to search? Well you've come to the right place! At DealSunny we update our list of TravelKhana offers as soon as new deals and discounts are released, so you never have to waste your time browsing through outdated sites for something that works. All you have to do is click on an offer that suits you, and the full terms and how to redeem it on the TravelKhana site will be revealed. You never have to pay full price again with DealSunny! Not looking to reserve food today, but have other stores, service providers or food deliveries in mind? Be sure to check out our full database of merchants and make great savings on whatever you choose to spend your cash on! TravelKhana is a unique food ordering service that focuses specifically on bookings for Indian train passengers. The privately held company is based out of New Delhi, and allows customers to order meals and snacks ahead of their journey, which are fulfilled by partner restaurants and establishments along the route. Customers can access the service exclusively online through the TravelKhana.com website, or their mobile app for Android Devices from the Google Play Store. What has helped make the service so popular is their great pricing, but also the ability to make savings by using claiming special offers and deals. These are commonly redeemed using TravelKhana coupons, and we keep an up to date list of these right here at DealSunny. All you have to do is remember to browse back to this page before placing and order to ensure you get the best deal possible! TravelKhana was founded in 2012 by Pushpinder Singh, a computer science expert who saw a gap in the market for quality travel food on India's bustling train networks. He tested the idea in 2011 and it was an immediate hit, launching the full project officially in 2012. The website states that the "Travelkhana automated platform tracks trains in real time across India and ensures that fresh food is delivered to the passenger as per their choice in real time." They currently operate routes between 500 cities, and are quickly expanding to other locations as well. This includes over 4,000 trains, and hundreds of food and snack establishments. So what are you waiting for? Do you have a train journey booked in India and will require food and refreshments? Order them today with TravelKhana and you can save money by choosing an offer right here at DealSunny! TravelKhana aims to allow passengers to order the meals and snacks they like, within their desired budget, while travelling via train across India. Their efficient digital platform tracks trains in real time, allowing for food to be prepped fresh for your journey, rather than kept refrigerated for days or defrosted in a microwave. The exact menu items can vary as everything is sourced from local restaurants and establishments (not on the train itself), but it is always varied enough for you to find something you like. Depending on which TravelKhana promo code you choose, you may be able to get an overall discount on everything your order, or specific items and meal configurations only. The exact offers available are always changing, so you should always check back before embarking on your journey to ensure you find the best deal on food and drinks you desire. Clicking one of our links will give you a special code and then this is easily applied to your order at TravelKhana.com during the online checkout process. Note that only one of these can be redeemed per order. To find the exact TravelKhana menu available to you, you'll need to logon to the site and select your train from the list. You will then be shown which establishment will be making your meal to order, and their individual menu. Orders can typically be placed up to 30 minutes before the train is due to arrive at the station. That way you get a nice fresh meal that was made to order. Typical options include a full meal, a smaller combo (rice and roti), and there may also be a breakfast menu and Ala Carte menu where you can pick various snacks and dishes to make your own combo. A typical meal will rarely cost more than Rs. 200.There will also be a selection of beverages to keep you hydrated during your journey. TravelKhana is available to anyone in India with an official train booking that can be confirmed online or through the PNR code. It is an ideal service for those travelling longer distances who will require a meal and drink to keep them energized and hydrated in the heat. Whether you're a worker, businessman or simply going on vacation, TravelKhana is a great solution if you want to reduce the hassle of finding food and drinks during your journey. You don't even have to leave your seat! According to the Google Play Store, TravelKhana has been successfully used by between 100,000 and 500,000 users. New Customer Offers: As a thank you for trying the TravelKhana platform they will reward you with some kind of special offer, often your first meal completely for free or at least at a discount. TravelKhana Coupons: These are special codes that you can find in our list at DealSunny, which you can redeem on the TravelKhana site or app for great discounts and other deals. While you can only use one of these per order, you may be able to combine then with other non-coupon deals for even greater savings! Cashback: These offers work by giving you cashback if you spend over a certain amount using a certain payment method. Other terms may apply, such as "must order two meals and a drink." TravelKhana App Offers: These are offers exclusive to using the app to make your order, so it's well worth downloading it if you have an Android device. Restaurant Exclusive Offers: As well as offers provided by TravelKhana, the underlying restaurants themselves may promote their own range of discounts that may also apply to your order. This will vary from establishment to establishment, so you never know what you might find. As well as checking back to DealSunny for the latest TravelKhana offers, you can also get some exclusive deals by singing up to their email newsletter or following them on social media. They may also SMS text you promotional material, as your mobile phone number is required upon registration. 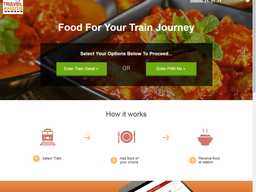 There are two ways to order your train food from TravelKhana. You can either use the main website at TravelKhana.com or their mobile app for Android devices. This can be downloaded directly from the Google Play Store and has an average rating of 3.7 stars out of 5, from over 2,500 user ratings. It features all of the same functionality as the site, so you should have no problem making an order. Here you can also find a number of TravelKhana reviews. While most people have had a good experience, occasionally an order might be missed. The first step to order is to enter your train details or PNR number in to the form - this will include the train, starting location of the journey and the date of the journey. You will then be taken to a list of available options for your journey. All food is prepped by nearby establishments, so depending on how long your journey is there may be multiple times and menus to choose from. It all depends on when you want to receive the order. When you're on the menu all you have to do is add items to your cart, much like any other eCommerce site. You will usually be able to choose from set meals, combos, and snacks, or mix and match the items you want. When happy with your order and time, you checkout and make payment, and you will receive the fresh food via the designated station. During checkout there will also be a box to enter any TravelKhana coupons. Don't worry about having to leave the train or collect your food, it will be brought to you right at your seat by a delivery boy! Orders can also be made far in advance, so you don't have to wait until the day of travel if you like to be well organized. You choose the time based on your journey and it will be made fresh regardless. You may tip the delivery boy however all charges are already inclusive in the price, so it is not necessary or expected. If you are a restaurant owner along a train route in India, you can make extra money by signing up as a TravelKhana provider. 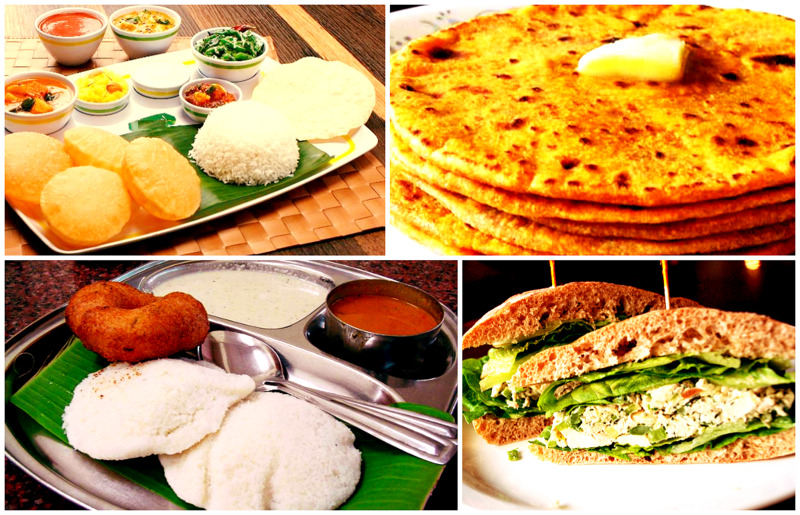 Your duty will be to supply fresh food from your own menu via the TravelKhana platform. Hit the Restaurant Registration page and fill out your details to begin a dialogue with the company. They will provide all of the technology required to make ordering run smoothly. TravelKhana want your experience to be as smooth as possible, so they offer a number of different payment methods. Perhaps the easiest method is to use a common Indian issued Credit, Debit or Cash Card through the online checkout. This includes Visa, Visa Debit, Mastercard, Maestro, American Express, and Diners Club. You can also use Net Banking with most Indian banks, which allows you to pay with funds directly from your bank account. If however you don't want to pay online, you can also use the Cash On Delivery method, without any extra charge. This simply involves paying the delivery boy when your food arrives. Be sure to have the right amount of cash as change might not be available. They will then mark the transaction as complete and this will be updated within your online order histroy. If you wish to redeem a TravelKhana promo code, all you have to do is carefully enter it in to the designated box during the online checkout system (just prior to payment). If valid you will get some kind of confirmation message and your order will update according to the terms. For example if it was for a straight discount your order's total cost will drop as per the coupon's terms. Note, you can only use one coupon per order, but it can sometimes be combined with other non-coupon offers for even deeper savings! Check back to DealSunny to see what's currently available. The delivery time of your food is tied to your journey and the schedule of the train. The company tracks the train's coordinates and relays it to the restaurant who will then know the best time to begin prepping your meal. When the train stops at the station the delivery boy will quickly hop on and deliver your meal. Obviously TravelKhana is not responsible for delays and they cannot get you your food until you have arrived at the station. In the rare instance that your order is never delivered, it will be automatically cancelled and a refund issued. If this doesn't happen a quick message or call to customer support will rectify the situation. You are free to cancel your order at any time before 1 hour of the train's scheduled time of arrival at the station. If you have used an online payment method you will be charged a 10% fee up to 24 hours before the delivery time, and 25% thereafter. Your refund will be issued to the payment method used. If your train is so late that the kitchen has closed, you will be given a full automatic refund. Obviously if you have used a TravelKhana coupon code to get a discount, you will only be refunded the actual amount billed after this was applied. How Do I Contact TravelKhana? TravelKhana have multiple options for contact depending on your query. If you wish to place an order outside of the website or app you can call them on 08800313131 from 9am to 10pm, and share your PNR and tell them what you want. Does It Cost To Use The TravelKhana Website or App? No, the only money you pay when using TravelKhana is for your order itself. You will only be charged the total order amount listed, with no hidden fees or delivery charges. How Far Can I Order In Advance? You can order your food as far in advance as you can order a train ticket. As long as you can confirm this online or via PNR, your order can be secured. If you require an invoice this can easily be accessed and printed from your order history within your online account. If your order has arrived but you are not satisfied, you may reject it on site and the delivery boy will return it along with your complaint. If you miss this opportunity you may contact customer support to solve the situation, but obviously due to the nature of train journeys it is unlikely you will be able to get a replacement then and there. Whenever you make an order you will receive confirmation by email and SMS. So if you lose your connection after this, your order will still be on its way - even if you can't track it. You will however need a connection to place the order to begin with. How Do I Redeem TravelKhana Offers? This depends on the type of offer you're redeeming. Standard discounts and deals on the site or app are automatic and will be shown when items are added to your basket. TravelKhana coupons must be physically entered in to the box during the online checkout process to be applied. TravelKhana use the latest encryption technology and use industry standard secure online payment gateways. @krsinghai Dear Kirtiraj, we have shared your order id with concerned team soon they will contact you.